Jackie and the Beanstalk is a multi-purpose horticultural design firm. 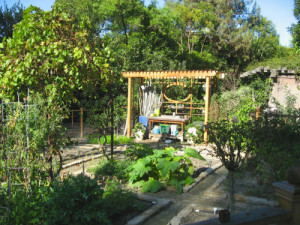 Using sustainable practices I specialize in Custom Garden Design, Edible Gardens, Garden Staging and Consulting. Gardens are an ongoing process. I work with my clients to determine what level of service they require to meet their aesthetic, maintenance and budget goals. As stated in an article in the Wall Street Journal in February 2013, home gardening is a $250 billion dollar industry in the U.S. Since 2008, the number of U.S. households growing food has increased from 36 million to 52 million. Join the fun. My services vary from a simple stroll around the garden with a homeowner who wants a do-it-yourself approach to full service design and installation. 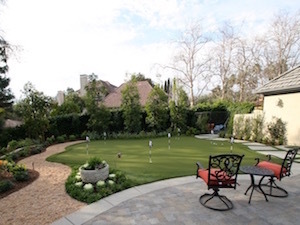 I listen to my clients wishes and then develop beautiful gardens that are also water-wise by incorporating a diversity of trees, shrubs, ornamental grasses, flowering annuals and perennials, succulents and ground cover in my designs. There is nothing quite as rewarding as taking a walk in your garden and harvesting the fruits and vegetables you have nurtured from seedlings. I wish I could transfer my passion for growing edibles to everyone. I offer several levels of service for homeowners to grow the foods they love to eat. Lack of “Curb Appeal” can be the kiss of death in this real estate market. There is nothing more important than a first impression. Many people have learned the importance of staging the inside. I strive to have homeowners take the same objective look at their property that a potential buyer would. My motto is “the outside sells the inside”. 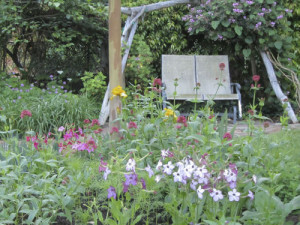 Your garden should be a haven – your place to relax and feel good. 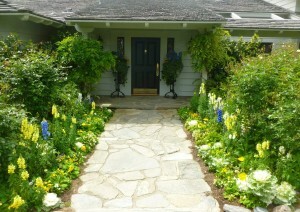 My goal is to help homeowners create an environment that beckons them into their garden. Working with the wishes of my clients I customize a plan to help them achieve their goals.